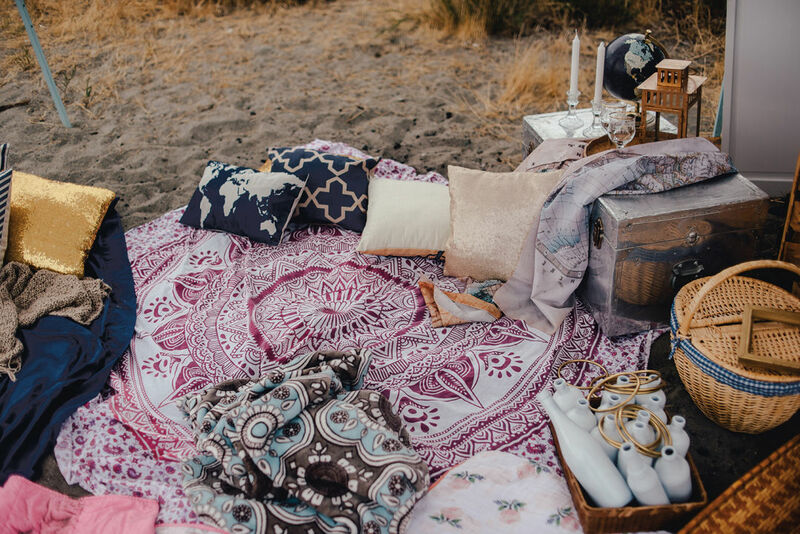 Love can bloom where you least expect it. 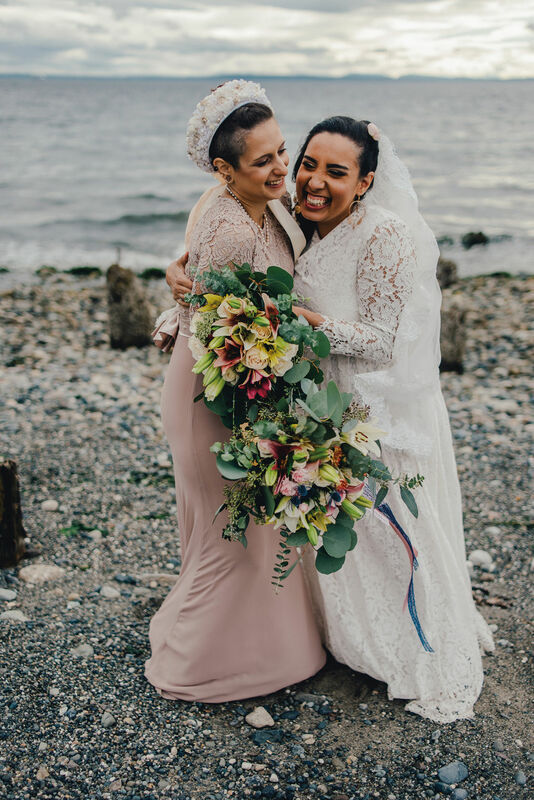 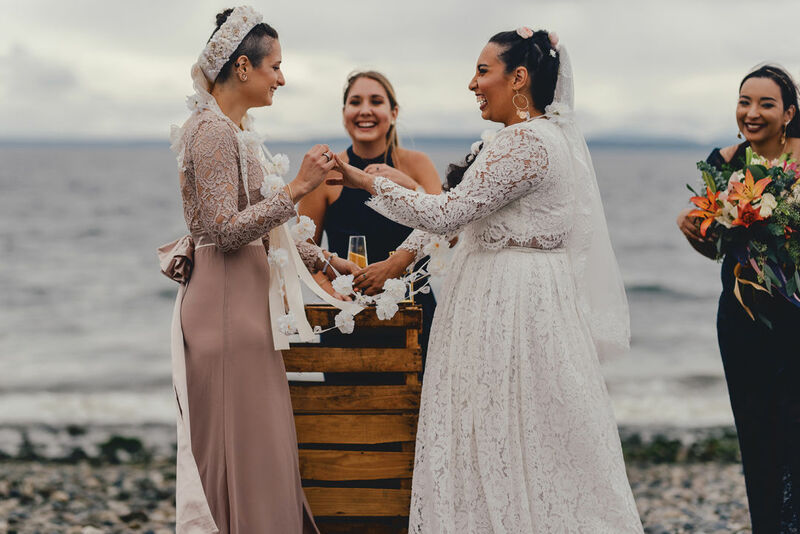 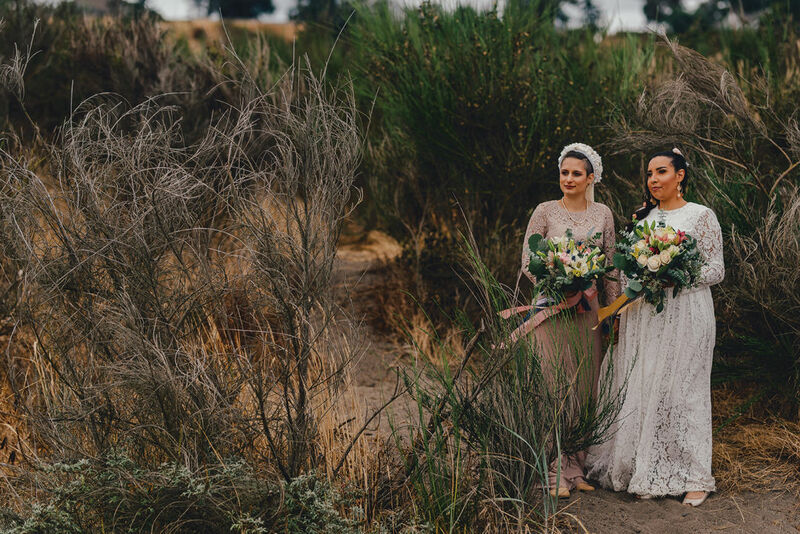 Jessica Manfredi and Vera Rostonics, who married last September at picturesque Richmond Beach Saltwater Park near Seattle, met years before in a science and technology class in 7th grade. 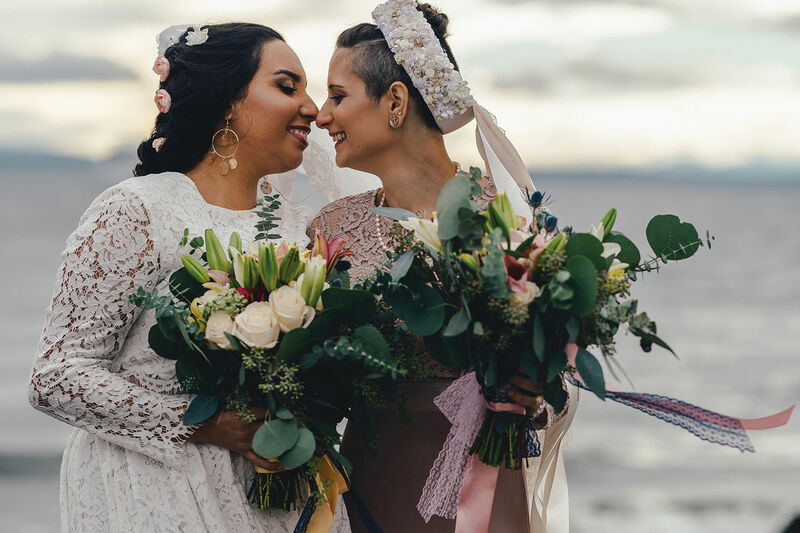 The two, who now live in Everett, dated for several years—much of the time long-distance—so when it came time to propose, even the flu couldn’t hold them back. 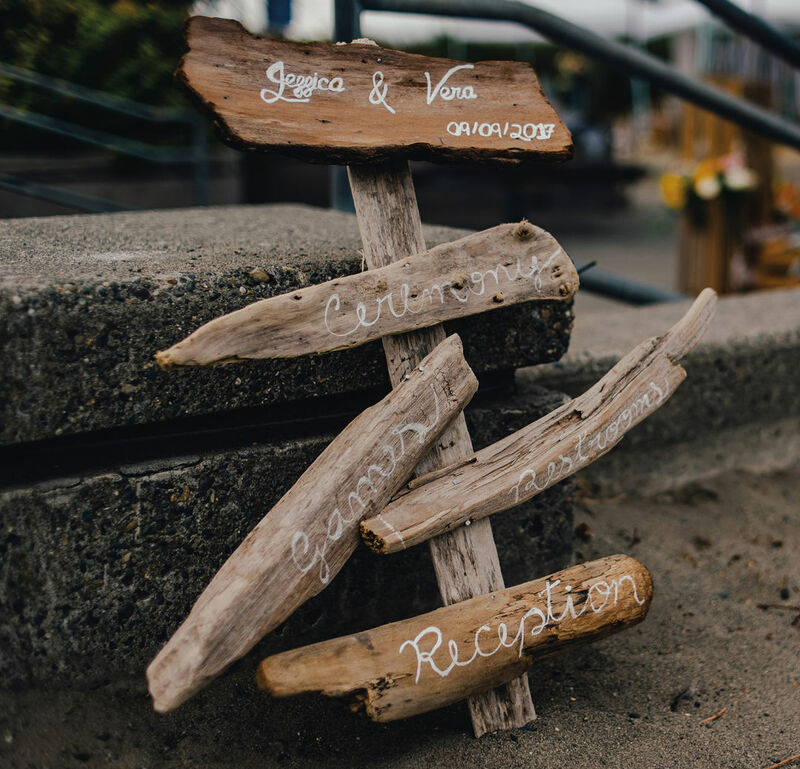 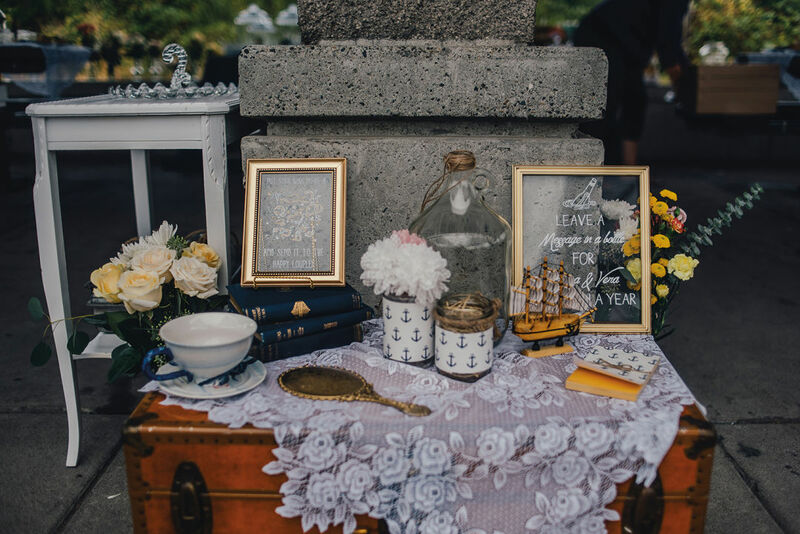 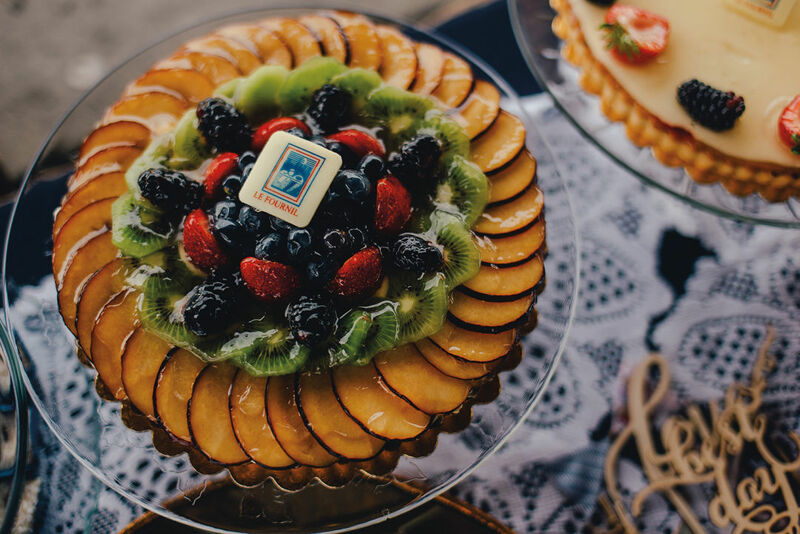 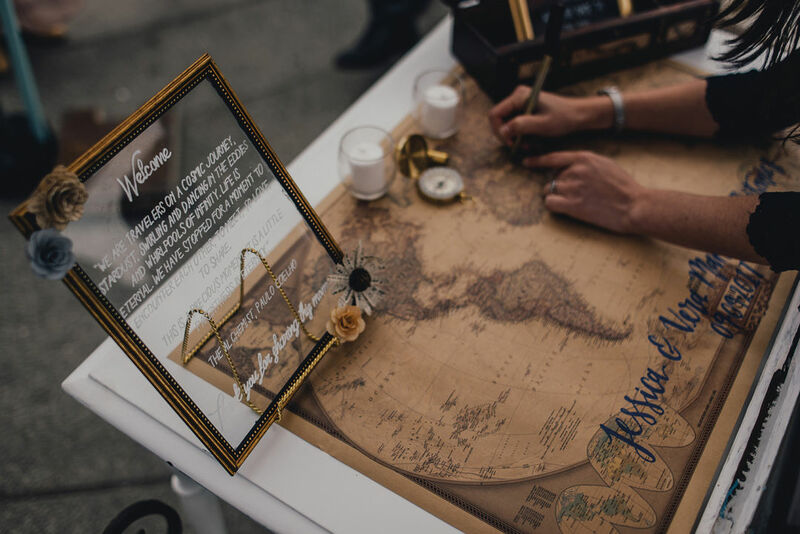 For their big day, the couple took a nod from the breezy Puget Sound weather, opting for a nautical picnic theme highlighted by tones of navy, blush, and gold. 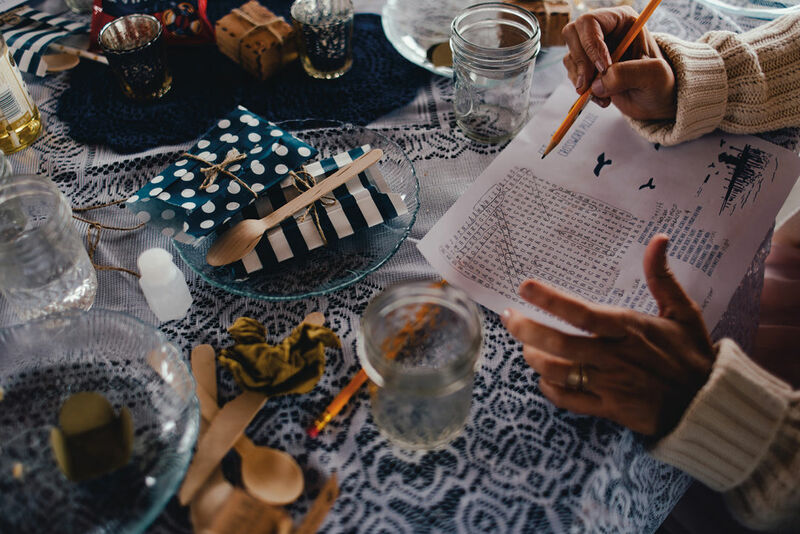 Holding to their budget, the couple even took on DIY décor projects themselves, including the flowers—“it was mix of everything we could buy at Trader Joe’s,” says Jessica, “in shades of whites and pinks with lots of greenery.” To help their 40 guests break the ice, everyone worked together on a crossword puzzle.